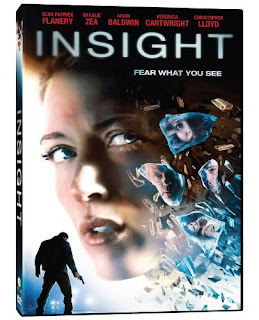 INSIGHT is a twisty new thriller from Phase 4 Films with an impressive cast that includes Natalie Zea, Sean Patrick Flanery, Christopher Lloyd, Adam Baldwin, and Thomas Ian Nicholas. The movie follows an ER nurse who tries to save a young woman who has been stabbed numerous times. The nurse in turn accidentally gets electrocuted by the defibrillator pads and afterwards she starts having the young woman's memories that will eventually lead her to the killer. Along the way, her friends believe she may be losing it a bit because of her stories she's sharing that are actually from the now deceased victim's memories. She starts to meet up with people from the murder victim's life which open up multiple suspects until she eventually learns who the killer is and the killer also learns what she's going through. As she starts to gather clues this begins a battle as she fights for her life while trying to solve this murder mystery that really has a wild twist that circles all the way back to her.There's something else going on here! Christopher Lloyd plays a really creepy and weird neighbor who is one of the first suspects that the nurse meets up with while doing her own investigating. Flanery does a great job playing the good cop to his partner's bad cop. 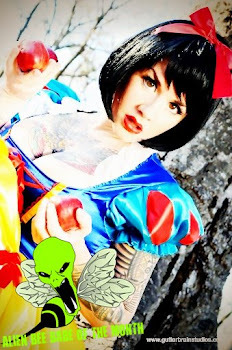 At first he thinks the nurse may be just a little crazy but as the story goes along he finds out there is more to what is going on here. Adam Baldwin plays a shrink who had a relationship with the victim and becomes another shady suspect for the curious nurse who sees more to him than what he's offering. Zea's character is the center focus in the movie and she pulls off a great performance as the strong female lead. Insight is directed by Richard Gabai who does a great job bringing this murder mystery to life and with the help of the excellent cast it makes Insight the great film that it is.